Various magic Bicycle marked cards are and have been on the market for many years. Here we offer a variety of Bicycle marked decks for use by professional and amateur magicians. 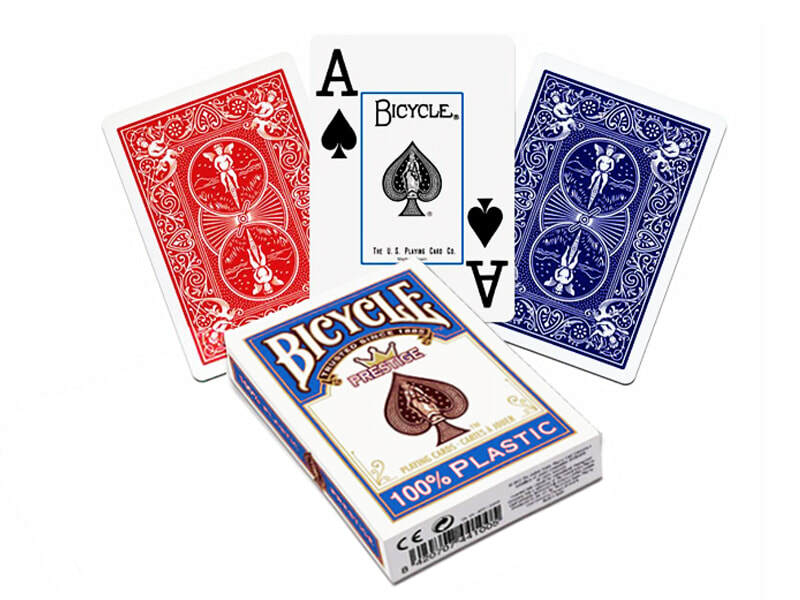 Bicycle playing cards is one of the most popular poker brands all over the world. As well as the Bicycle playing cards, the Bicycle playing cards marked deck has been enjoyed by poker professionals and magicians in poker clubs, magic shows and gambling casinos all over the world. Invisible ink Bicycle marked playing cards includes several different kinds of marked cards that use with different devices. A Bicycle deck, no matter what model it is, usually features the classic Bicycle patented Air-cushion finish in the design, softly beveled edges and sandwich construction for enhanced game play. Bicycle playing cards can be marked well with invisible inks for infrared contact lenses or marked cards sunglasses in the following ways, very big marks indicates the numbers and special signs for suits in the middle, or small marks for numbers and suits in four corners. With the infrared ink glasses, you can see the luminous marks well. Please note that red marked decks always have better marks than blue marked decks. All the Bicycle playing cards, plastic or paper, red or blue or other color ones, can be marked with invisible ink marks well for the barcode marked cards for poker scanner analyzer. With such a barcode marked deck, people can't see any marks by naked eyes. And the infrared contact lenses CAN NOT see such barcode marks either. The infrared ink Bicycle marked deck has also marks of suits and numbers on the back which will be read by the infrared camera lens. This infrared ink marks can't be read by the contact lenses nor glasses. Only with help of a monitor of TV or phone, can you see the marks under the infrared camera. This Bicycle marked decks can suit more for poker games for those who has partners rather than magicians. Any model Bicycle playing cards can be marked with invisible ink. Bicycle is one famous brand for playing cards all over the world. It's made by one of the first manufacturers of playing poker cards. The original Bicycle playing cards are made from the U.S. playing cards company. There are many models of Bicycle playing cards exist, among which 3 or 4 is very popular. Bicycle plastic prestige poker playing cards are one particular kind of Bicycle brand name at first constructed in US. 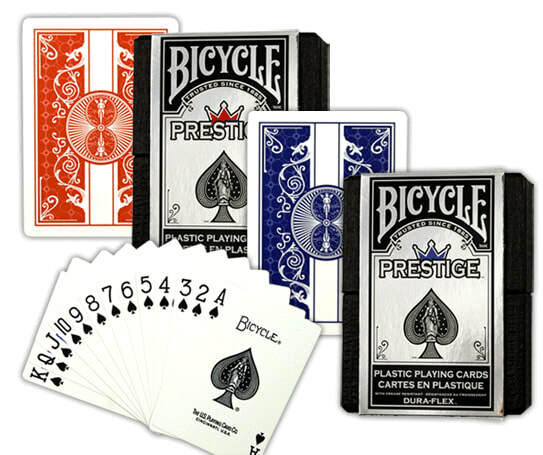 Prestige Bicycle cards are made of PVC substance that happen to be durable than every other plastic enjoying playing cards. 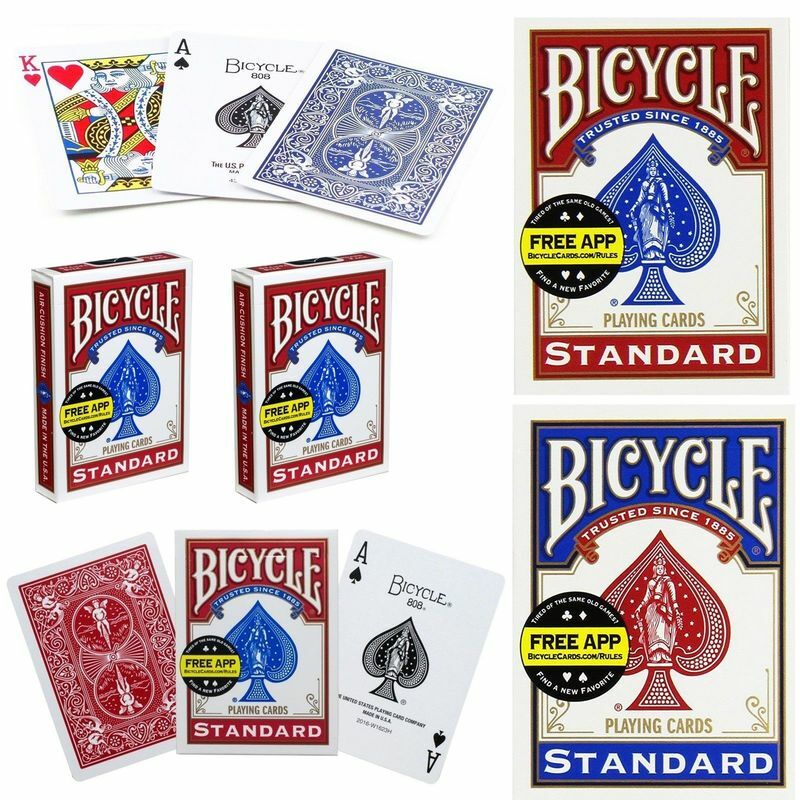 The paper Bicycle playing cards, including the standard index ones and jumbo index ones, are very popular use in many countries both for poker games or magic shows. We can process all the Bicycle playing cards well with invisible ink marks by machine. ​The Ultimate Marked Deck is printed on quality Bicycle Playing Cards by the U.S.P.C.C. these are a quality marked card used by professional magicians in close up magic. The Bicycle Ultimate Marked cards are printed by the playing cards company. The markings of the Bicycle ultimate marked cards are hidden into the standard design using a system similar to that devised by the magician, Ted Lesley. A quality marked deck that's easy to read, often used by magicians working stage or cabaret venues. Usually these marked decks are available only in Red Back. The Ultimate Bicycle marked decks has the following features. · Identify any card without seeing its face. · Read the identifiers of the cards directly without having to mark the card yourself. · Yes, No codes, No symbol to interpret, No marking system to learn. · Use genuine "Rider Back 808-R" Bicycle Cards. · Hand out the deck without fear of detection. · Instant location and direct reading of the marks, no need to wear special glasses or lenses. ​ All the qualities of the ideal marked deck at long last brought together in the Ultimate Marked Deck. Bicycle ultimate marked decks are popular on Amazon or eBay or Ali Express and so on. There they get very good reviews. ​"Tricks and gaffed deck of cards are being released every day. Some are for beginners, some are for professionals. The professional magician needs a marked deck that can be read fast and usable in every condition. The professional magician needs efficient and reliable props. From this point of view, the Ultimate Deck is an ideal prop, for both close-up and stage."